and improving, and with that comes work-related problems, including technical difficulties. Your computers might fail, system might crash, and your IT infrastracture might turn out to be ineffective. When these things happen, you can count on HoustonTech’s IT help desk support to resolve your IT-related problems. 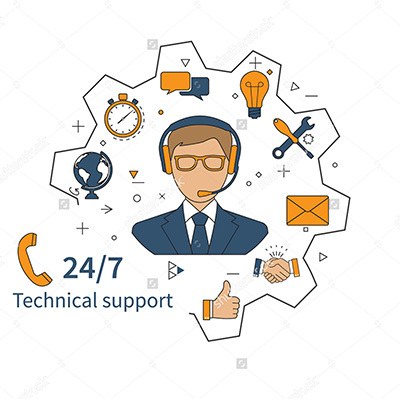 We understand the importance of open communication with our customers, and here at HoustonTech, we can provide your business with IT help desk services that are quick, reliable, and available 24/7. Our internal help desk support will take care of your workforce, should they need assistance with issues that might affect the technical side of your business. Best of all, we make sure that our IT help desk services are tailored to your business’ specific needs. Let us take care of your IT help desk support needs! Call us at 832-630-4986 so we can discuss and create the best help desk support plan for your business. We are available from Monday to Friday, 07:30AM-07:00PM, to take your call.